Hong Kong-based British artist Simon Birch brings an incredible, prolific art space, The 14th Factory, to an abandoned warehouse in Lincoln Heights. 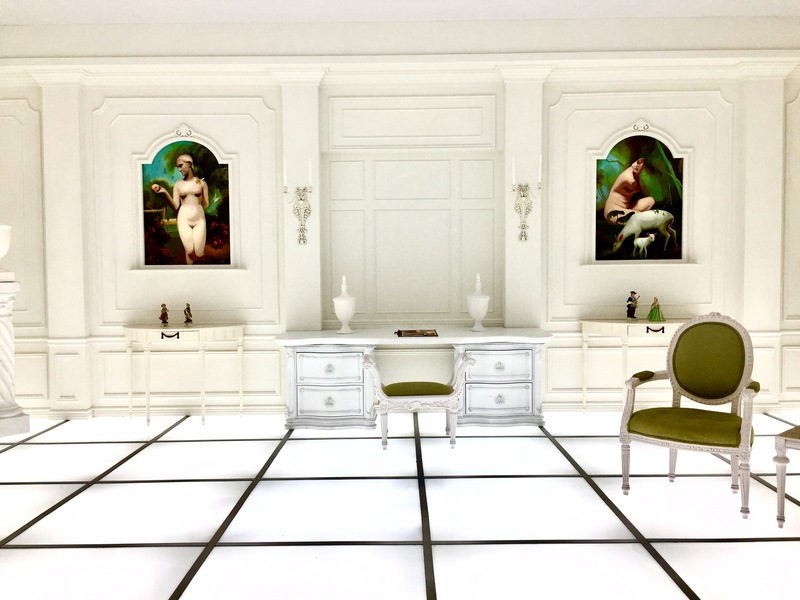 If you haven’t caught the oft-Instagrammed shots of the 2001: A Space Odyssey replica room, or perhaps a white space with colorful pitchforks dangling from the ceiling, you might not be aware that there’s a subversive and immersive art experience happening just outside of downtown LA. “Throughout its run, the project will feature collaborative works by a global community of interdisciplinary artists representing Greater China, Canada, the United Kingdom and the United States,” the 14th Factory’s website reads. When guests walk into the blacked out space, they are greeted immediately by a hypnotic video, a kaleidoscopic circle of human bodies. You can watch for as long as you’d like, as the video loops, or move swiftly into the next room where you’ll find a likely sizable line before you’re invited to take off your shoes and spend all of a minute in the 2001: A Space Odyssey room which is impeccably perfected to meticulous, color-specific detail. 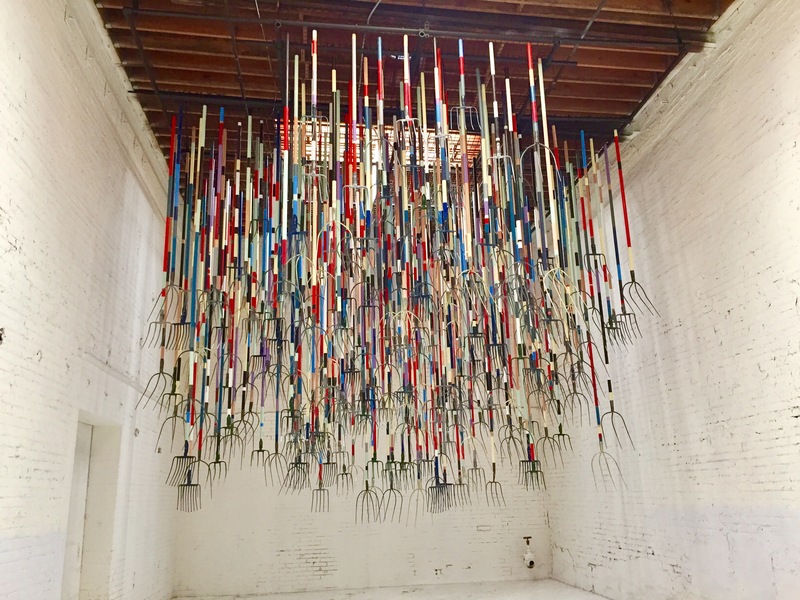 Once the minute is up, grab your footwear and head into an expansive room where you can view artwork on the walls, stand beneath colorful pitchforks, or perhaps most entertainingly, play on a handful of suspended swings over a mossy raised square. It’s easy to lose time in the massive warehouse space, whether you’re checking out the video installations, exploring the outdoor space of old airplane parts, or delighting in Simon Birch’s own sketches. There’s a lot to see in one go, and you might be better served by making a day out of it, or going a few times. One thing is certain, you won’t want to miss this one-of-a-kind spot, open through the end of May.